Apple devices are known for their airtight security. 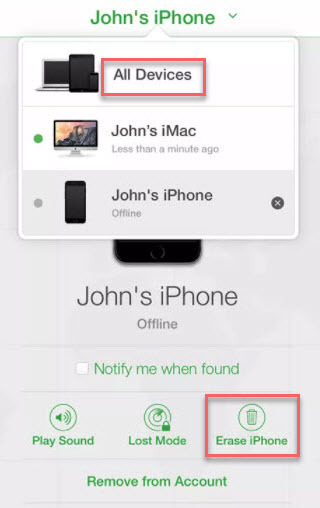 iPhone owners can secure their gadgets by various methods - password, Face ID, Touch ID, iCloud, as well as others like Find My iPhone, and so forth. These methods, especially Face ID and Touch ID, make unlocking your iPhone easy and fast. However, since most iPhone users do not need to enter their passwords all the time, they can easily forget what it is. If you forget your iPhone password and retry severally with different wrong passwords, the device locks you out; this can get incredibly frustrating. But do not worry; you can unlock your iPhone easily even when you forget your password by following the guide. Part 2: What You Should Know about iPhone Password? 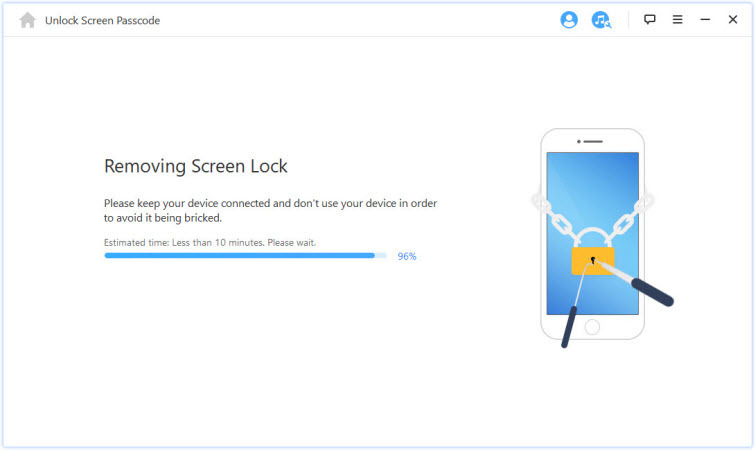 You can unlock your iPhone using third-party computer software, of which the best is iMyFone LockWiper. You could as well unlock your iPhone with other Apple-recommended methods, but most of these other methods are not as straightforward, and they take a lot of time, or other methods can brick your iPhone. iMyFone LockWiper, on the other hand, is an easy solution that gets the job done in minutes. 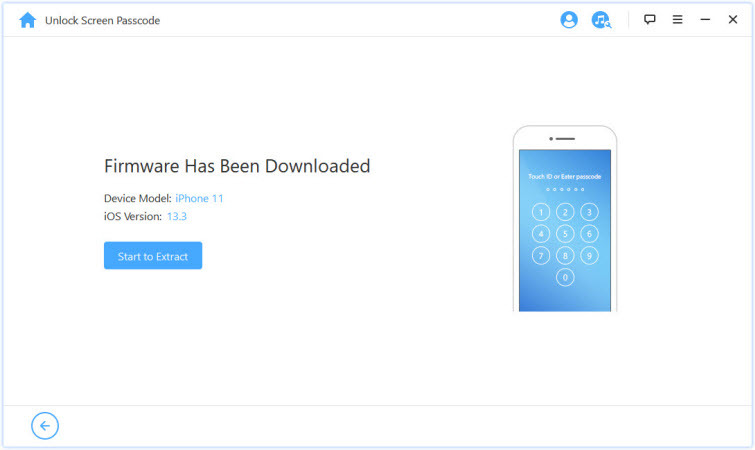 Easily removes Apple ID without password for iPad, iPhone, iPod touch, etc. Bypasses screen passcode for iDevices with locked, disabled or broken screen within minutes. Supports all kinds of screen lock like Face ID, Touch ID, 4-digit/6-digit passcode custom numeric code, and so on. Requires no tech skills, designed with beautiful, simple-to-use user interface. 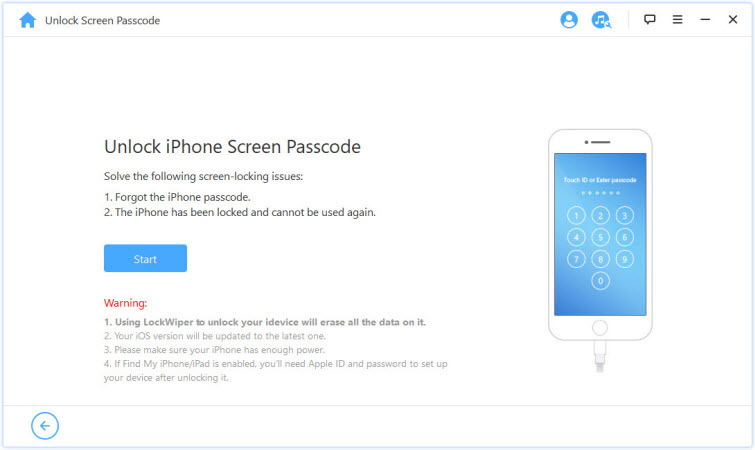 How to Unlock iPhone with iMyFone LockWiper When You Forget Password? 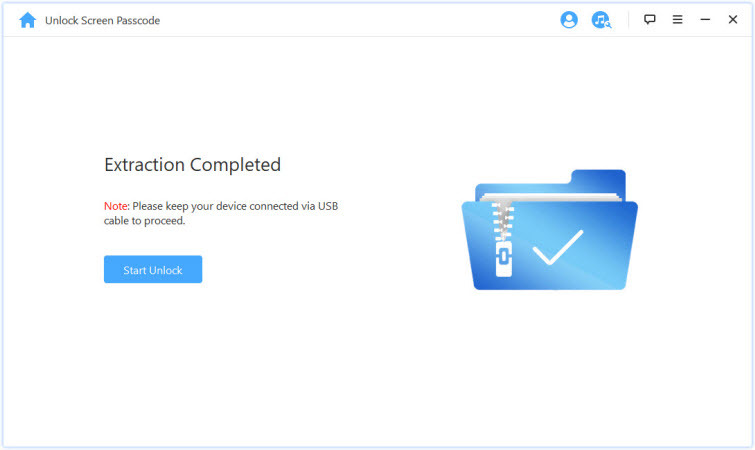 Step 1: Launch iMyFone LockWiper on your PC and select “Unlock Screen Passcode” mode. Click “Start”. 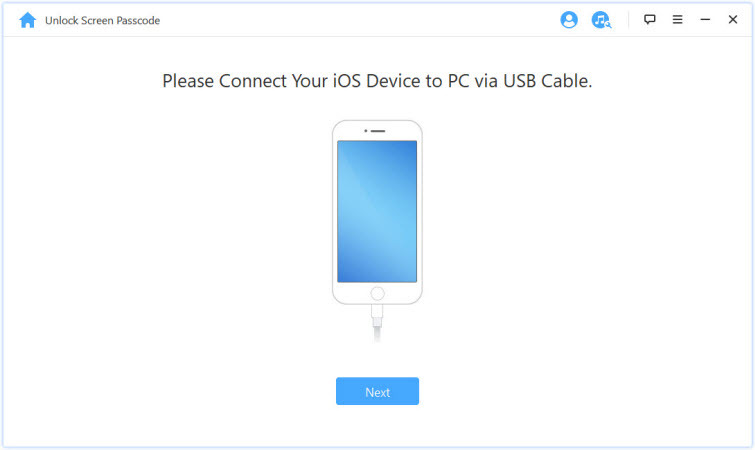 Step 2: Connect your iPhone via a USB cable and click “Next”. 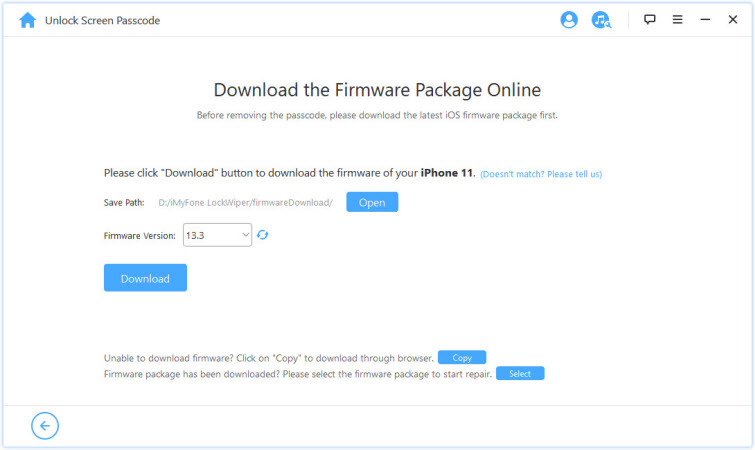 Step 3: Download and extract the firmware package. 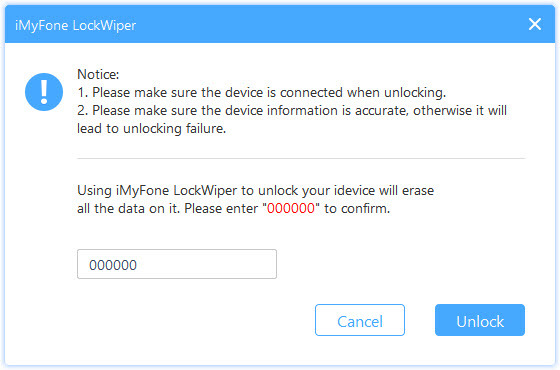 LockWiper detects your device information automatically in order to download the appropriate firmware. If the download does not complete, click “Copy” to download it manually in your browser. You can use an already downloaded firmware package on your computer if you have one. Click “Select” to choose it. Step 4: Following the successful download, verify the package and click “Start to Extract” and wait for the process to finish. Step 5: Unlock screen passcode. Next, click “Start to Unlock” to commence the operation. Make sure your iPhone is connected to computer the whole time. Enter “000000” to agree to unlock your iPhone. Then click “Unlock”. This will put your device in Recovery mode. Wait for a few minutes for the process to complete, and then the password is gone from your iPhone. If you forget your iPhone password and the device locks you out; you can easily unlock your iPhone using iTunes. Step 1: Launch iTunes on the computer on which you backed up your iPhone data. Step 2: Connect your iPhone to this computer via a USB cable. If you get a prompt, tap “Trust” if you had never Trusted the computer before. Step 3: Your iPhone should appear on iTunes; select it. Step 4: Click Restore Backup in iTunes. Step 5: Select the most recent or relevant backup. You can determine this using the dates on each file. Step 6: Click on “Restore”. 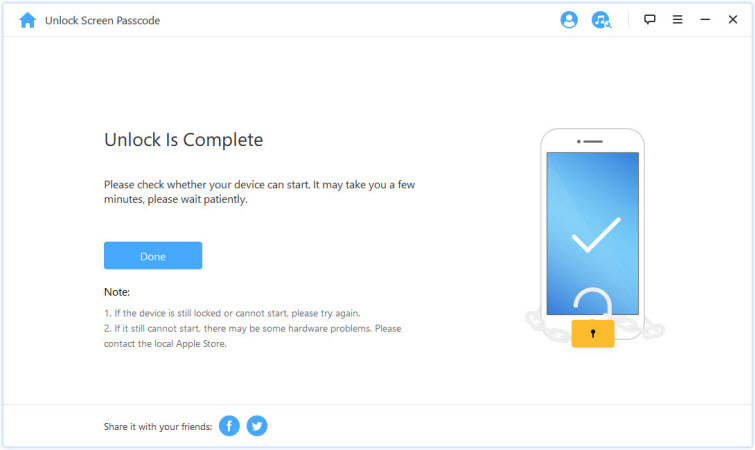 Wait for iPhone to restart and sync with your computer before disconnecting. This option is the only one for users who have never synced their iPhones with iTunes or iCloud. This method wipes your device permanently and configures it as new. Step 1: Connect your iPhone to your computer via a USB cable and launch iTunes. Step 2: Enter Recovery mode. 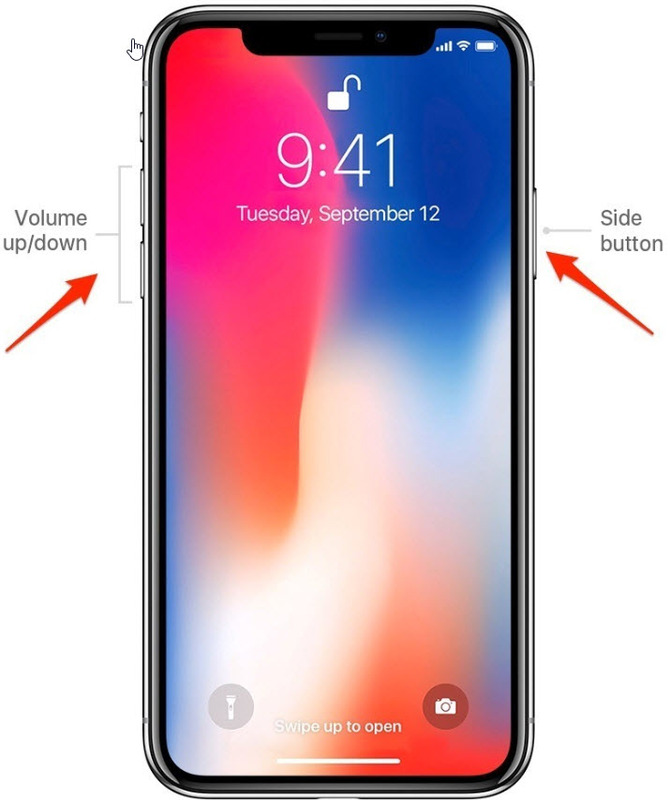 For iPhone 8, X, and higher: Press and release Volume Down. Then press and hold the Side button. 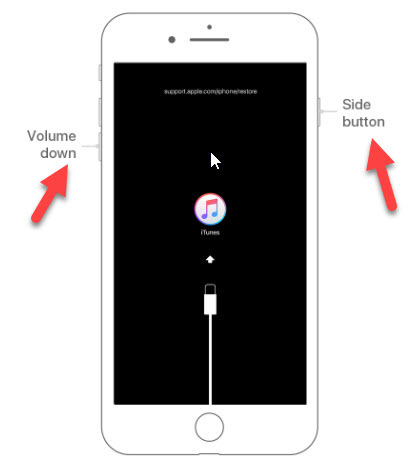 For iPhone 7 and 7 Plus: Press and hold the Side and Volume buttons simultaneously. 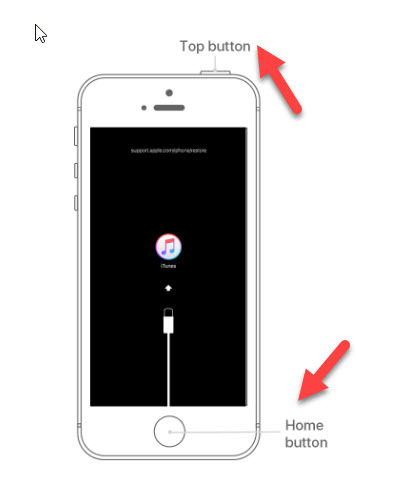 For iPhone 6s and below: Press and hold the Home and Top/Side buttons simultaneously. Step 3: In Recovery mode, iTunes asks you if you want to Restore or Update. Click “Restore”. Visit iCloud.com from your internet browser. Using your Apple ID, sign in to your iCloud account. 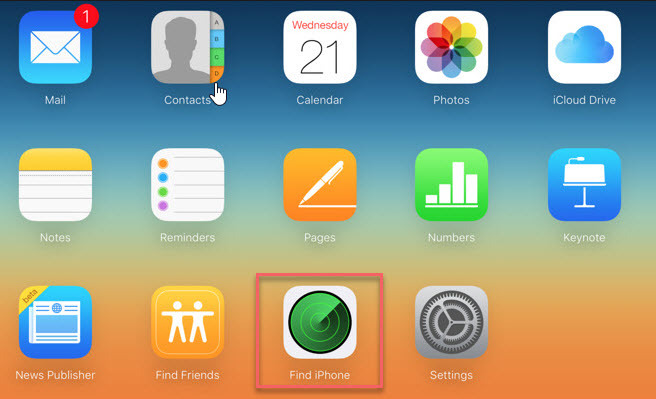 Select Find My iPhone. Then on All Devices, to view the devices associated with the entered Apple ID. Select your iPhone, then click “Erase iPhone”. Your Apple ID is an account that enables you to access various Apple services including App store, Apple music, FaceTime, iCloud and more. A password is required for securely guarding your personal information when entering your Apple ID. Click on Settings > [your name]> Password & Security. Input your working device passcode or password as well as the new password. Confirm this new password. Click on Change or Change Password. Now you should be able to sign in with the new Apple ID. Whenever you create a new Apple ID, know that your password must contain up to eight characters, which include upper and lowercase letters, and at least a number. Passwords cannot contain the same character, three times in a row. You cannot use a password you had used in the last one year. Getting locked out of your iPhone is annoying and frustrating because you cannot as much as access your iPhone. 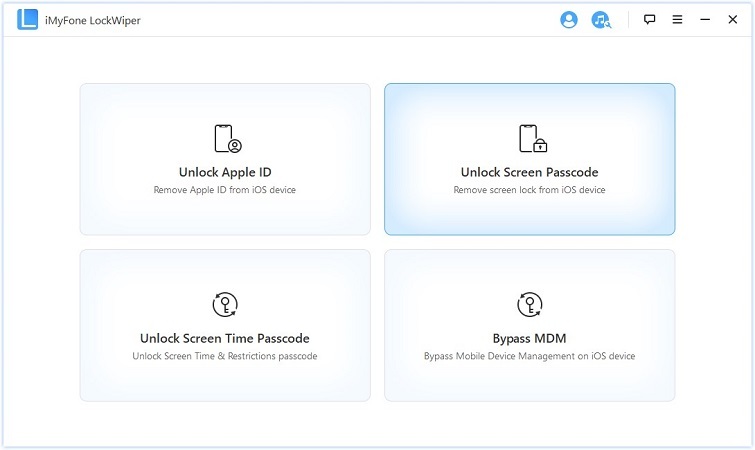 Here in the post, you must have learned several solutions on how to unlock an iPhone if you forgot your password, such as iMyFone LockWiper, iTunes, iCloud, recovery mode. No matter what is the case, there is always a program available to help you unlock your iPhone.